If you’re looking for an effective marketing idea instead of using DL Brochures, then our DL marketing cards & Postcards will make your next direct mail campaign stand out in the croud. 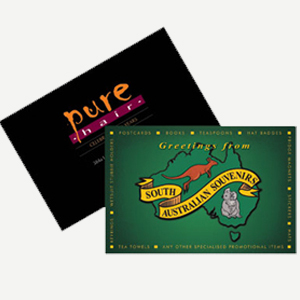 Postcards – Make another alternative Marketing Card, when you want to stand out that little bit more. 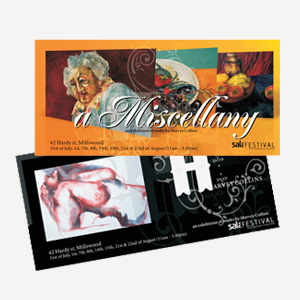 Postcards – size is A6 – 105 x 148mm, 350gsm with Gloss Lamination 1 side. DL Marketing Cards another alternative to DL Brochures, when you want to stand out that little bit more. 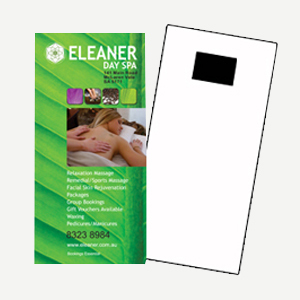 DL Marketing Cards available in Single Sided, Double Sided, Single Sided with Magnet. Full Colour print on 310gsm Card, Gloss or Matt Lamination finish. If you’re looking for an effective marketing idea instead of using DL sized Magnets, then our DL marketing cards with magnet on the back will make your next direct mail campaign more cost effective. Magnet mailers are not read just once – their message is noticed over and over again. Ideal Calendars, menus, price lists & specials to promote your business.